George Brasher, MD of HP UK & Ireland, explains why 3D printing has the potential to significantly reduce the waste and emissions of manufacturing. We are on the brink of a 3D printing revolution as it is fast shifting from being used for niche applications, such as developing prototypes or creating specialist parts, into the mainstream. According to PwC, 67 per cent of manufacturers are already using 3D printing in their production systems and this is set to grow exponentially with the global value of this technology predicted to reach $31.20bn by 2022. This transformation in manufacturing brings with it many opportunities to develop a more sustainable model, by helping to reduce CO2 emissions, cut waste and allow businesses to develop more efficient processes and supply chains. At HP, we’re developing commercial grade printers which can produce superior, functional parts 10 times faster and at half the cost of previous 3D printers. This makes 3D printing an increasingly viable option for a much broader range of industries. As a result, we will see a revolution in the way products are made and how they are stored and distributed – transforming supply chains, distribution channels, business models and the use of resources. A study published in the Energy Policy Journal suggests that the efficiency improvements provided by 3D printing could cut GHG emissions by 130.5 and 525.5 megatons by 2025, which is the equivalent of taking about 105 million passenger vehicles off the road. Modern supply chains are too complex. A simple shoe, for example, can contain up to 26 distinct materials, each with their own global supply chain. Producing shoes often involves manual assembly, which can lead to large quantities of scrap waste that end up in landfills. On top of that, shipping the shoes around the world increases carbon emissions. With 3D printing, this process will be dramatically simplified. In the near future, consumers will be able to simply go to their local shoe shop, get a 3D scan of their foot, choose a design from the store’s digital inventory, and have their shoes printed on-the-spot. Using 3D printing cuts transportation requirements by allowing parts and products to be printed locally. 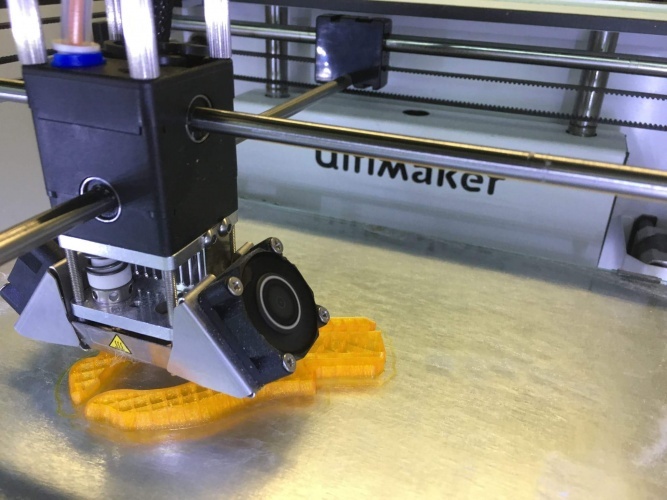 As it is responsible for around 22 per cent of energy-related GHG emissions globally, simply by reducing transportation needs, 3D printing could shrink manufacturing’s carbon footprint. Today, entire products are thrown away which could be easily repaired. The Waste and Resources Action Program estimates that 23 per cent of electrical equipment collected at recycling centres in the UK could be refurbished with minor repairs. By ensuring that spares are always in stock there is more reason to build products to last, as they are easier and cheaper to repair. This helps to keep them working for longer, helping to reduce landfill. According to the Energy Policy Journal study about two-thirds of 3D printing’s potential GHG saving is due to the ability to create more lightweight designs, as they require fewer materials to make and it takes less energy to transport them. Modern production technology often requires complex multi-material products with high part counts that correspondingly results in high assembly costs. A seemingly simple household iron, for example, contains 95 separate components made out of 17 different materials. 3D printing can create lightweight, lattice designs that are as strong as those made using traditional manufacturing techniques. Complex assemblies can be redesigned into a single part — that iron would be composed of just one material and one part. Traditional manufacturing processes usually take a large piece of material and hone it down to create a smaller, finished product. Up to 30 pounds of materials are wasted for every pound of suitable material used. With 3D printing, up to 98 per cent of the material is used in finished parts. 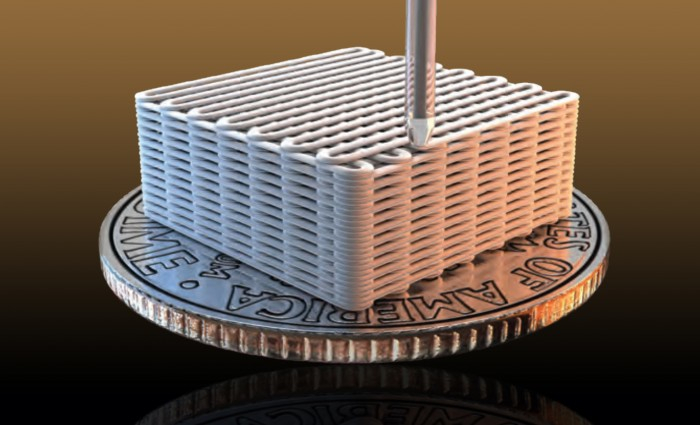 The lightweight lattice designs created by layering materials in 3D printing require much less material to make. Businesses such as Nike are already beginning to reap these benefits; by using 3D printing in its FlyKnit shoes it has reported an 80 per cent decrease in waste. The ability to print parts onsite means there is no need to keep a huge inventory of spare parts in warehouses around the world, which then must be shipped to customers around the world. Instead you can have an infinite inventory of spares that can be stored electronically. HP is getting behind 3D printing as it supports our commitment to ensure that all our products and operations are based on the highest ethical standards, and that includes sustainability. It also supports full circle innovation, which allows OEMs, suppliers, distributors and end users – the entire value chain – to reduce waste, keep products in use for longer and get the maximum value out of them while they’re in use. While the true impact of 3D printing is yet to be fully realised, it is clear there are genuine, positive opportunities for it to improve manufacturing environmental performance by promoting efficiency to reduce waste and cut carbon emissions. I can’t help thinking that the Printed Circuit Board (PCB ) industry will be the next to benefit from this technology (OK, I know we’re not quite there yet). Producing a multi-layer PCB is such a complicated and dirty process with many subtractive processes. Producing a PCBs without nasty chemicals and associated waste will be a real game changer.